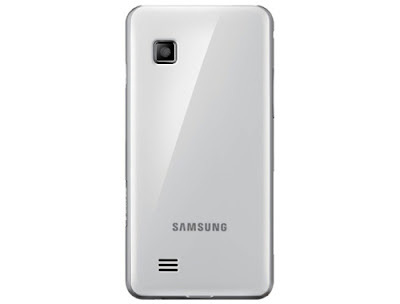 Samsung launched its new smart phone Samsung Star GT-S5260 aka Samsung star II, the successor of Samsung GT-S5230 Star which has been a super success in market and sold over 30 million all over the world. The new phone comes with everything that the old Samsung Star lacked. The phone offers a superior social networking experience which keeps you connected with your family and friends. The personalized user interface ensures an easy and comfortable usage of phone. 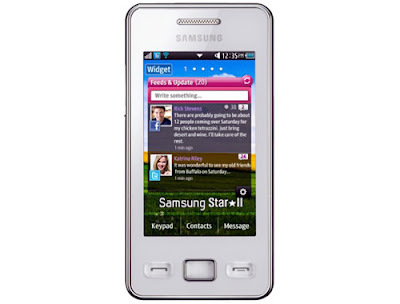 The Samsung star II comes with a 3.0 inch TFT WQVGA capacitive touch screen with 256k colors and Samsung’s special Touch Wiz 3.0 user interface. The display resolution is 240 * 400 pixels. There is a remarkable Quick Type T9 Trace keyboard that makes it easy to text messages or chat with friends. The phone has the ability to determine the word the user may want to type from the movement of his fingers over the keyword. And star II has the feature that the old Samsung star lacks. The Wi-Fi 802.11 b/g/n is for wireless connectivity. The improved and sophisticated Samsung hardware provides the integration of social networking sites such as Facebook, Twitter etc. The phone also comes equipped with multi- IM 2.0 which provides access to the user’s accounts in IM services like Yahoo, Google Talk, AIM, and MSN etc .The phone has a 3.5 mm audio port. The Samsung star II has a 3.2 mega pixel camera with digital zoom with an image resolution of 2048×1536 pixels. QVGA video recording at 15 fps is also possible. It supports 2G network with frequencies of operation in GSM 850/900/1800/1900 MHz. The phone has an internal memory of 30 MB and can support up to 16 GB external memory through the micro SD card slot. The dimensions of the phone are 107.5 x 54 x 12.4 mm and have a weight of 90 gram. Internet access is made easy through WAP browser, xHTML browser and HTML browser. The music player allows both MP3 and MP4 formats. A stereo FM radio with RDS is present. Bluetooth V2.1 with A2DP is present for connectivity. Messaging facility include SMS, MMS, IM and e-mails. The phone book can store a reasonable number of contacts and photo call option is also provided. It supports MP3 and WAV ring tones. There are monthly pay deals available for this phone from Orange and Vodafone. The user get additional benefits like talk time, 12 months of free rental, mobile insurance etc along with free gifts like lap tops, camera, iPods, etc.